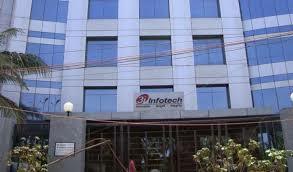 3i Infotech Limited, a global Information Technology company, committed to empowering business transformation, ensured auto reconciliation of more than 10, 000 bank receipts and payments per month for Gandhar Oil Refinery India Limited with implementation of its ORION ERP software. With this, now the organization can control all operations from the head office, thus helping in smooth delegation of tasks across various branches. This will help Gandhar Oil achieve automation, centralized data access and effective time management across the organization. Gandhar Oil Refinery India Limited, manufacturers of mineral oils, liquid paraffin, petroleum jelly, rubber process oils, industrial and automotive lubricants, and transformer oils, was using a distributed file-based system where the management lacked access to online information or automated reports for quick decision-making. As the system was obsolete, the team struggled to collate data during half-yearly and yearly financial closure. Furthermore, operational data was maintained in excel sheets which resulted in frequent human error. “The client was looking for a cutting-edge enterprise management system that would fit their unique business requirements, and the ORION ERP solution seemed like a natural fit. The solution was mapped to meet the unique requirements of export processes of Gandhar Oil such as pre-shipment processes, post-shipping tracking, etc. and a fully integrated system was deployed,” said Suryanarayan Kasichainula, EVP & Business Head for ERP, 3i Infotech. “The ORION ERP solution has been implemented so well at Gandhar Oil Refinery India Limited, that even after close to a decade of it being implemented, we continue to benefit from accurate and in-depth reports through each module. With recent upgrades to the ERP solution over two years back, we continue to benefit from its’ robust performance, and are considering another upgrade shortly to meet our growing business requirements. The user experience that ORION provides is truly fantastic. By punching all our data into a centralized system, we can manage operations across 15 branch offices, 2 plants and depots,” said Mr. Suhag Shukla (IT Head) of Gandhar Oil Refinery India Limited.